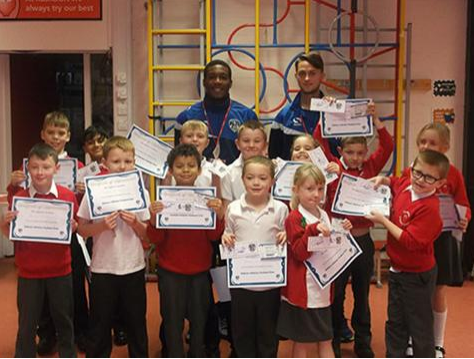 We were very fortunate to welcome two players from Oldham Athletic into school. They were here to see all the children who go to the football clubs run by Latics after school but we also let our other Oldham fans meet them too. The full story is at the link below.